Did you watch Barakamon? No? Well there you go, if you aren't completely sold on the cat side-story gimmick alone than I guarantee Barakamon is what you were looking for in this anime but better. Starving loner artist finds a spunky young female friend to help him climb out of his shell and become a more compassionate, social person with close friends he can truly appreciate. Same premise, distinctly different qualities. Despite coming out five years ago, Barakamon looks far better than this, the comedy is snappier, the characters are more well-defined, and the sincerely sweet moments have an edge in being more humble and believable in Barakamon. Since all the characters are human. This show isn't awful, it won't ruin your day. I even got a little teary eyed in some places. The only genuine beef I have with it is how blatantly they ripped off the main character's design. If you really like that the cat gets her own perspective, then I hope you enjoy. But a neat quirk doesn't make this show any less mediocre than it really really is. I loved this anime and of course want more. I thought it might get annoying watching the same scenes from two points of view, but thankfully it never happened. Both human and cat characters feel pretty realistic with the issues and struggles they have, more Subaru than Haru though. I would love for this series to continue. Wow. It is a anime that will make you cry and laugh with an interesting story, lovable characters and beautiful animation. 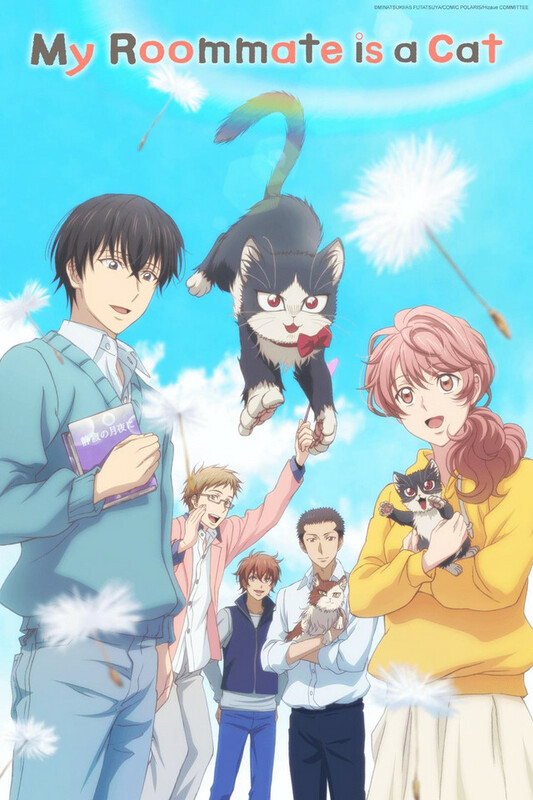 It had a unique view with half an episode being from Subaru's (the human) perspective and half being Haru's perspective (the cat). I could relate as a cat owner and Haru reminded me of my cats but I don't think you need to like cats or be a cat owner to get how Haru feels. The characters developed nicely and there were a few good messages in there and it made me think about things that I wouldn't normally think about like spending time with family before it is too late. I really enjoyed this anime and it is one of my favourite anime. Genuine is the best way to describe it. I mostly just watch "Slice of Life" anime and this is the best thing I've seen on this website. This show is better than most things I've ever watched. It's cute and heartwarming. It doesn't shy away from real feelings and Subaru is really dealing with some very complex emotions. By the end of the third episode you start to understand why he is the way he is and in following episodes you understand why Haru (the cat) is the way she is as well. Genuine is probably the best word to describe this series. It tugs at the heart strings but doesn't feel manipulative or hammy. There is very little like this anywhere in the world. Highly recommended. I wish my roomate was a cat too. I'm fascinated how much this touched my heart and how wholesome and cute it is. I thought this was some anime I wouldn't be interested in as this blew me away. I'd say you should watch this, it's amazing, next level ( in my opinion ) and I can't really explain it. I think this show is a true representation of the iyashikei genre. You see Subaru slowing come out of his shell, opening up to people, and in some was truly start to live his life to it's fullness, all because he has something to care about, Haru. It's a wonderful anime because it's helps show you how your pets effect your life. I also enjoy the Haru's perspective because a lot people believe cats think human as large hairless kittens that don't know how to properly take care of themselves, so her obsession of getting him to eat is beautiful. Great change of perspective between him and the cat with interesting explanations for some of their behavior. It was an emotional journey of how a pet can change a person's life for the better with the right amount of comedy mixed in. It would be nice to see another season. It's just so heartwarming and I never knew I needed it in my life. I found this anime to be very refreshing! We see things from both the cat and owner's point of view. The owner's character develops well over the season with the help of his cat as a pet and inspiration for his new novel. He's a relate-able introvert and has sad moments when he thinks about his deceased parents. The sad elements of the show never becomes overwhelming or too much. I'm thankful for that because I hate crying and feeling sad. The cat adds a lot of comic relief even when the episode doesn't need it. This is what I like to see from a slice of life anime. This series was enjoyable throughout he entire thing. What was really enjoyable was the episodes' formats through the series. A wonderful perspective type of set up. I enjoyed every episode of this Anime, and have been sharing it with friends to also enjoy.